Mobile phone replacement cycles are shortening with the advent of 4G networks, Jio the most preferred operator while Flipkart tops as a preferred online channel. As per the survey, two in three users plan to upgrade to a new mobile phone in the next twelve months. This is a departure from an average of 24-30 months to under 20 months upgrade cycle. Firstly, our survey showed many users are looking to upgrade to a phone with 4G LTE capability and especially VoLTE ready. This is mainly driven by Reliance Jio’s VoLTE-only network and consumers’ high intention to switch providers to Jio. Secondly, many users are looking for a phone with better memory, storage or battery capacity, driving an urgent desire to upgrade as smartphones become central to their lives. Among other interesting finds from the survey – almost one in three respondents were considering phones with a fingerprint sensor and better front facing ‘selfie’ cameras as key features in their next purchase. Respondents highlighted that online reviews of a product are the most important source of information for their pre-purchase research. Seven out of ten respondents consider online stores as their preferred point of purchase. 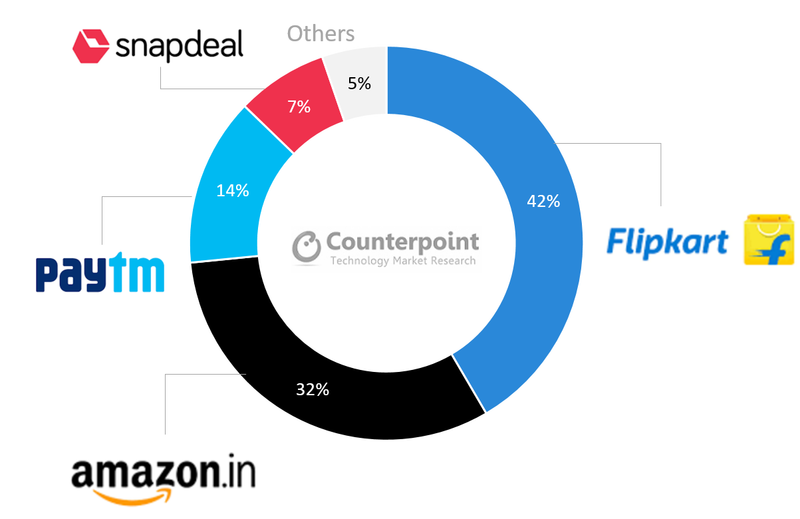 Furthermore, Flipkart is the most preferred online retail platform for buying a mobile phone. Almost half of the respondents surveyed are looking to buy a new SIM or port-out from their existing operator. According to the survey, more than half of the respondents are likely to choose Reliance Jio over any other operator for their new connection or porting from the existing one. 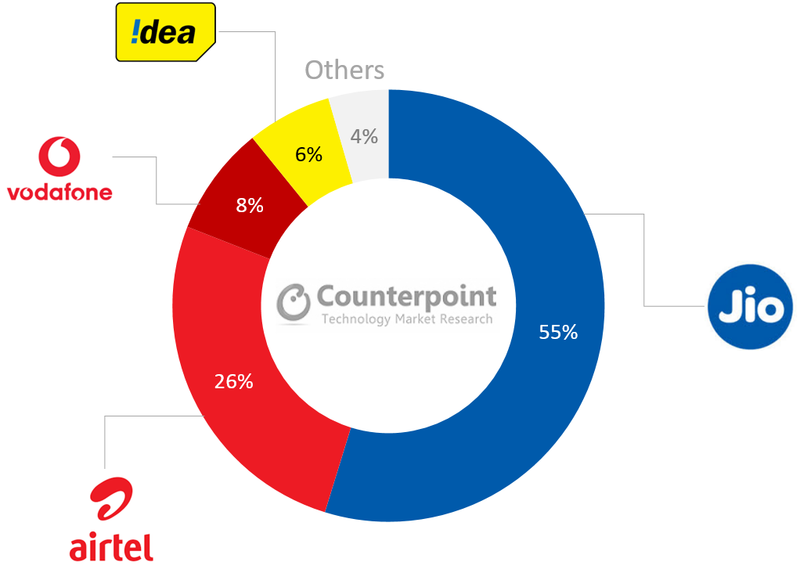 While one fourth of the respondents are likely to consider Bharti Airtel. 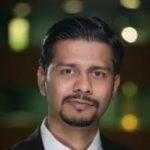 According to Associate Director – Tarun Pathak, “The Jio-fication of modern mobile consumers is happening. Aggressive 4G offerings from free-trials to one of world’s lowest priced 4G data plans bundled with bouquet of applications and content services, Jio has driven the purchase intention strongly in its favor in just six months. Almost one in three respondents have the Jio TV app installed on their device; only next to the default YouTube app which comes pre-installed on an Android device. 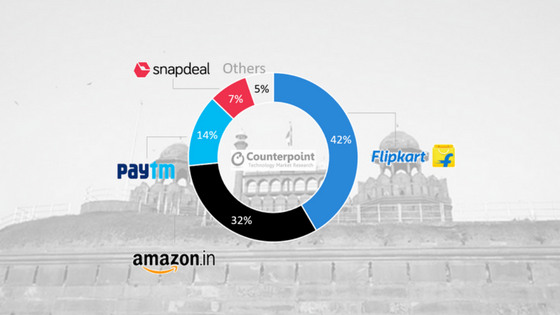 This is a primary consumer survey conducted by Counterpoint Technology Market Research through randomly selecting sample of 1500+ respondents of India to understand mobile user behaviors, usage patterns, preferences and factors influencing purchase decisions. Please feel free to contact us at [email protected] for further questions regarding our in-depth latest research, insights or press inquiries.